The great value of this debut novel is the intimate portrait it paints of an undocumented immigrant’s family, work, and personal choices as she navigates 1990s New York City. The protagonist, Ana, is a dark-skinned woman from rural Peru who fled terrorists in the countryside to live with her aunt in Lima. Her husband, Lucho Falcón, light-skinned, middle-class, university trained, obsessed with politics, was born and raised in that city. The couple is living with their two young children in Queens, the most polyglot borough of New York, as the book begins. Having left Peru without papers in search of more opportunity, their life is constrained, their finances shaky. Forced to take menial jobs, Lucho is working nights as a cab driver while Ana works days as a seamstress in a factory. Their family of four is temporarily housed in a single room of an apartment owned by Lucho’s cousin Valeria, who makes no secret of her disdain for Ana’s origins and is jealous of Ana’s rapport with Rubén, her husband. As Rivero unveils both the backstory of Ana and Lucho as well as their daily struggle, it is obvious how complicated their life—and by extension those of so many undocumented immigrants—becomes when relatives are too close for comfort yet too necessary to leave. Bickering is inevitable. Ana tries to stay calm, while Lucho becomes withdrawn. Ana is a strong woman determined to give her children a future in the United States; Lucho hints they would be better off returning to Lima. Ana’s factory is a hive of gossip. Her coworkers are outwardly friendly yet always aware the possibility of raids by immigration authorities. Ana’s best friend from her Peruvian village also works at the factory, yet is far more savvy than her married friend. It is fascinating to watch them visit a pharmacy catering to immigrants, where women seek medical advice (they fear physicians and hospitals will inquire about their legal status) and buy prescription medicine under the counter. With no access to banks, Ana must borrow from a moneylender incongruously nicknamed Mama. As collateral Mama holds the lease on Lucho’s precious Lima home. When Ana falls short on her payments, she seeks help from Mama’s husband, a slimy sexual predator. “At least no one here looks at me like I’m a cockroach,” Ana says. And so the pecking order goes, with Ana always at the bottom. As she spends hours buying ingredients with which to make Peruvian specialties in Valeria’s kitchen, Ana clings to a dream of someday opening a restaurant. “it might all, somehow erase the very things that made her seem so discardable,” even to the Falcón family. An inevitable blow-up between Valeria and Ana at last hastens the family to move, to an apartment in a poorer neighborhood, where uneven windows allow the winter wind to seep inside. 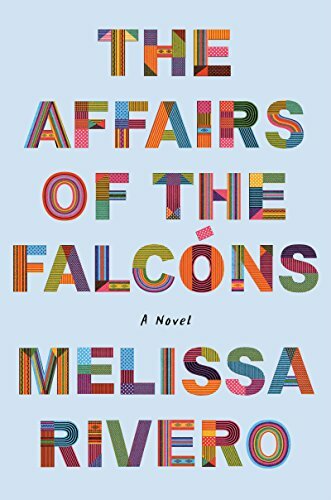 The Affairs of the Falcóns, though marred by repetition, is a deep dive into the impossible world of the undocumented in today’s society.